Please note we are in a side street just off Cowbridge Road East and not on the main road. 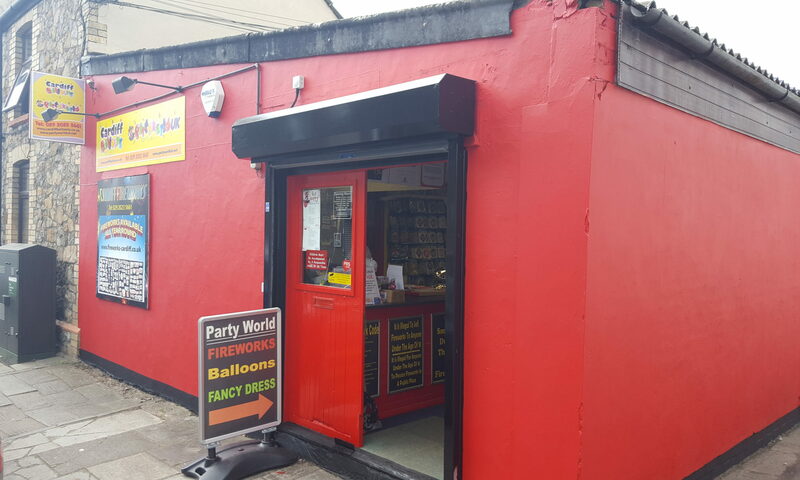 Our shop is called Party World UK and is situated just off the main road in Canton. 374 Cowbridge Road East has a shop on the front called Richards Framing. We are tucked into the side street behind the framing shop. If using a SAT NAV you will be better putting in Lionel Road rather than the post code. If you have any problems trying to find us please feel free to give us a ring on the phone numbers provided and we can give you directions on the phone.